Mary, Stevie, Dayan, Ainsley and Tanika! Do you know them? Your little ones might. They are the members from the now Hi-5 team! 1,2,3,4 Hi-5! 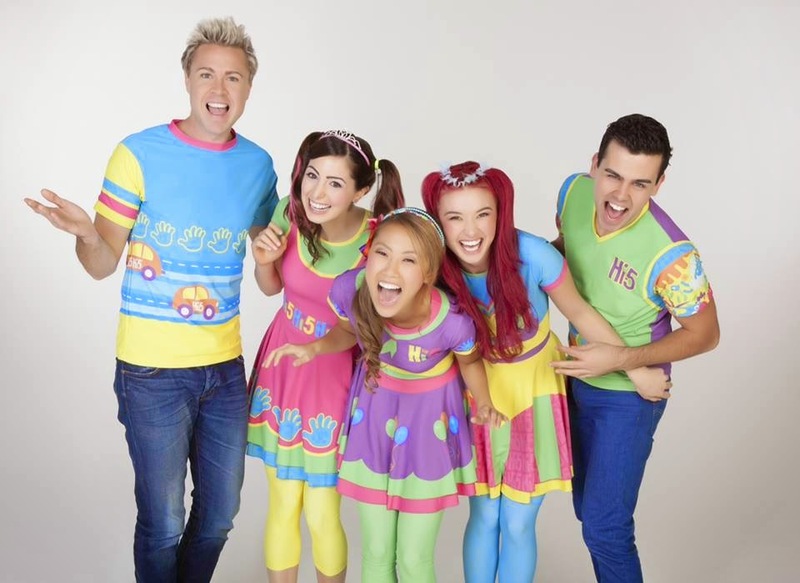 Hi-5 was launched in Australia in 1998 with five dynamic performers entertaining children aged 2-8 with music, movement, problem solving and play. A good 16 years of existence! The Hi-5 program had won many prestigious awards and even captured the hearts of parents. So was mine. And of course, I only knew about them since my kids had a little of that TV fetish. With new members replacing and evloving, the essence of Hi-5 episodes remained purposeful. They're not only educational and engaging, their songs and costumes are also very catchy. Js would sing their tunes all the time. It will be of much excitement if they put together their house hits live before our eyes. Imagine a concert with cute little fans dancing to the coolest moves and singing along with their favourite hits. Wait not, the moment is nearing, the Hi-5 gang (including chats and jup jup) is touring to Singapore this December, for only 2 days! I bet your little fans know chats and jup jup. It's December, it's the holidays, it's a month of extra presents and love. Surprise our little ones with a great time of sing along and dance along with Hi-5! Js will be so looking forward to it. Race to 10 million - Skyline luge Sentosa! All photos and writings belong to Mum's Calling. Powered by Blogger.